A little background. Although by no means the first board games released by The LEGO Group (TLG), the new line LEGO Games was launched in mid-2009 as part of TLG's strategic desire to look for new areas to increase business. (Games was the first project given the green light out of about eighty potential concepts - I believe that Architecture was another concept that later got the green light from this directive.) In some respects, these new lines fell outside the usual departments and processes within TLG. For example the Architecture sets are designed by people outside of TLG and then reviewed and amended by various TLG departments before going into production. Another example is the new parts that were created especially for the Games line. 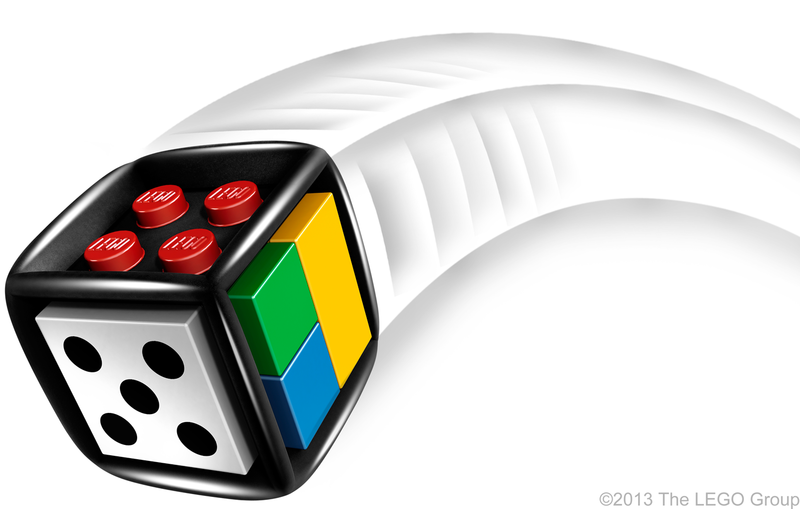 At the heart of all the games, and their marketing promotion, was the LEGO die. Allegedly it required the most complex and therefore expensive mould ever created to produce it – looking at it, that sounds believable with its two colours, studs in three dimensions and rubber edges. But this big investment wasn’t the only new element exclusive to the Games line; some little white 1X1 round plates with a hollow stud came in four of the 2009 sets, and another five since then. Usually they were simply used to represent eyes, i.e. decoratively, but sometimes the functional aspect of the hollow stud was utilised – namely, it fits a rod (a.k.a. 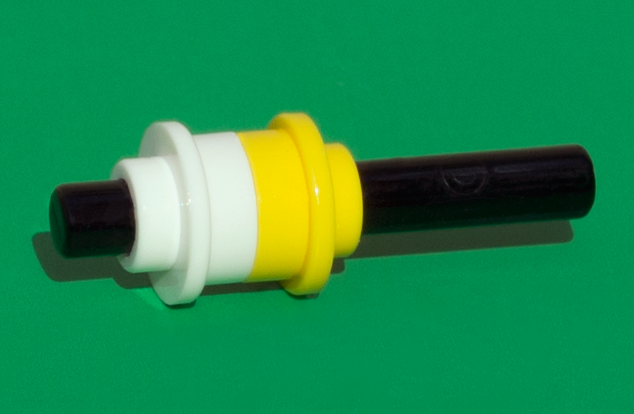 a bar on Bricklink, and nicknamed a “318” by LEGO Designers in reference to their 3.18mm diameter). But even when used functionally it wasn’t used to its full potential, as this example of the UFO from 3842 Lunar Command’s instructions exemplifies - it’s simply spacing the elements out as desired by the designer. So what is its full potential? There are plenty of LEGO parts with hollow studs, most similar to the round plate being the common 1X1 round brick, but there’s not always space in your design to include a 1X1 round brick. As us AFOLs know, the smaller the part the more useful it is! I can’t count the times during builds that the “holey dot” has been called upon from my collection to get me out of a hole. Pun intended. My most common usage is to create a 180° reversal in a very small space – just put two of them facing stud-to-stud (or bottom-to-bottom as in this picture) on a 318. And it seems AFOLs were not the only ones to notice the potential; I was told last year that some LEGO Designers wanted to use it in regular sets too. And this is where it gets interesting, because apparently the answer was “No”. I’ve only heard the reasons given second-hand obviously – I don’t work for TLG! – so please consider this hearsay. The main reason given seemed to be “LEGO aren’t allowed to release System parts that don’t have the LEGO logo on them”. That’s clearly not the whole story, as the aforementioned 1X1 round brick is one of many parts missing the logo on the studs. There might have also been a "Pandora’s Box" concern around releasing the part into System sets. If we accept that the hollow stud is very useful on a 1X1 plate, surely it would be useful on a 1X2 plate also? 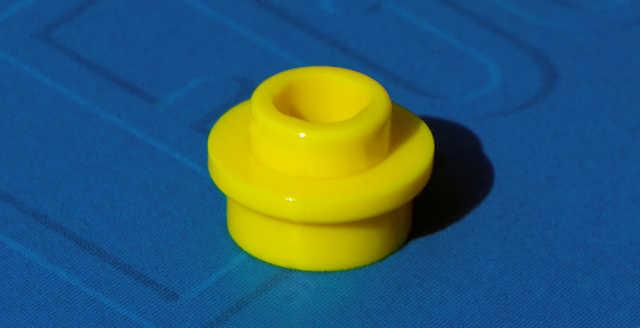 Surely every LEGO element becomes more functional with hollow studs? Where do we draw the line? Do we remove the word LEGO from every part?! The LEGO logo on the studs is one of the cornerstones of the LEGO Brand. It immediately identifies and imbues the piece of plastic you’re holding with all the quality and loyalty the brand represents. 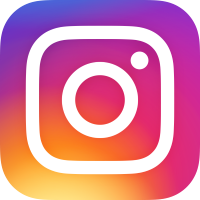 Its presence is sometimes an irritation to AFOLs (and surely Designers too), as the miniscule additional height the embossed logo adds to elements limits how many ways they can legally be added into models. But even those of us who hate the entire concept of Brands and their role in advertising surely still feel happiness whenever they once again happen to lay eyes on that lovely tiny word sitting on a stud? Whatever the reality behind my assumptions truly was, and whether these really became internal arguments about functionality vs. Brand, it’s a non-issue for us now as you can already get element 6050850 in two sets within this year’s City fire-themed range; 60003 Fire Emergency and 60004 Fire Station . And unlike the Games line, they are used in these sets in a way that takes full advantage of the part’s functionality; by inserting the jet of water into the bottom of a holey dot, a 1X1 cone can be attached at 180° creating a more realistic nozzle. As you probably know, LEGO announced they are ending the Games line this year. A shame as I genuinely enjoyed them, not least the ones that later made good parts packs! So I think it is great news for LEGO fans big and small that the holey dot is here to hopefully stay and I can’t imagine that an evil alternate universe where LEGO bricks have no ‘LEGO’ on them shall come to pass as a result. But what do you think about the importance of keeping the Brand on the bricks? It’s OK for the Technic System – or is it? Or is the holey dot just an example of LEGO parts becoming too specialised, destroying the challenge of constraint so adored by most adult builders? Interesting read. Thinking about your point about "Apollo" studs on Technic beams, I think they're in a separate class from the 1x1 rounds because their rod holes don't go all the way through. 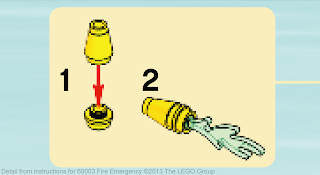 To your knowledge, has Lego ever used the Apollo holes on a Technic beam in an official set to hold a rod? I can't imagine the connection would be strong enough to still make a playable or swooshable model for the kids. So, I would guess there's no need to worry that Lego will ever change regular bricks and plates to have Apollo studs that don't go all the way through. There would be no point. I can't guess what the original point was on Technic beams in the first place. So, that leaves the question about whether regular bricks and plates would ever change to all-the-way-through Apollo studs. The functionality would be useful. But I think it'll never happen (and due to more than just branding reasons). The aesthetics of commercial models would be destroyed. Can you imagine the normal X-Wing set with holes all the way through every stud of its wings? All these hundreds of points of light would shine right through most commercial models. Those "Apollo" studs on Technic beams HAVE been used to hold rods. The set 3939 Mia's Bedroom is one set that does this, as storage for Mia's drumsticks. Generally, though, it's only used to hold accessories, not for any structural purpose where it has to support a meaningful weight. Speaking of which; I've never heard the term "Apollo studs" before; where does it come from? I definitely don't think there's any risk of standard bricks and plates including holes in the studs. After all, some parts have recently been redesigned WITHOUT the traditional top hole, such as 1x1x5 columns. So clearly TLG has more concerns than simply intercompatibility of pieces. Also, regarding the term "318" used in the article, I was confused for quite a bit over what it meant, and then I realized it's probably referring to the diameter of such parts (3.18mm). Correct, or incorrect? I agree LEGO are unlikely to have used a 318 in a Technic brick, but don't know for sure either. I think 'Apollo' studs often crop up in unexpected places because of moulding concerns. A solid stud can only be used opposite a hollowed-out section of the part, otherwise there's a lot of extra plastic in there. If a part has a smooth surface on one side, any studs directly opposite it will be Apollo studs. And i think it would be horrible to use Apolloed studs on every piece. LEGO bricks would be too close for comfort, in comparison to Mega Bloks, and all the other junk out there. I think it was less about saving plastic and more about making the plastic segments thinner. Generally, huge, thick chunks of ABS aren't desirable. Not only would it be an unnecessary expense in some cases, but the plastic in the center might not cool properly and you'd end up seeing the plastic deform on the surface of the part. This is why many LEGO animals, even those without any articulation like the LEGO camel, are pre-assembled from multiple molded sections rather than a single block of plastic. It is also why many of the bulkier BIONICLE and Hero Factory parts use some quite clever techniques, hollowing out segments of the parts in ways that reduce the thickness of the "walls" without the resulting part looking particularly flimsy as a result. Anyway, on an ordinary brick or plate, the section of the piece beneath the stud, and even a little bit of the stud itself, can be completely hollowed out. On a Technic beam, this is not possible, even with the molds as complex as they are. Thus, a hollow stud is the only option to reduce the thickness of the plastic between the stud and the Technic hole. Regarding the use of the 1 x 1 round plate with hole in the 2013 fire sets, I own both the truck and station (but not the burning house) and neither of my sets include the 1 x 1 round plate with hole in the instructions, in the inventory at the back of the instructions or in the set at all. So it looks like their use in those sets is from a later production run. a lot of times the "garage door" slotted bricks are used to hold weapons in games because they have hollow top studs (i'm thinking "apollo studs" was "hollow studs" with a strong accent or a daneglish word? OK the confirmation is in; I'm afraid you were spot on murphquake. I finally contacted the person who I thought called them Apollo studs; he got back to me very speedily and in a very kind tone agreed with your guess, that he had just said "a hollow" stud. Me and my creative brain, eh. It's an interesting piece alright. I have 2 I think that came with Fire Emergency in yellow. I also got the new fire engine, set number I forget and the online instructions, which I use normally, shows the assembly above, 1x1 cone, the new 1x1 round plate with hole and then blue fire/water piece. But on assembling there was not a sign of the piece and when I checked the printed instructions, the design was different and poor in comparison. I figure they changed the design at some point as I see they've been doing with other sets. How interesting. I suppose it's possible the design change came after usage of the holey dot was given approval. But I'm just guessing. Bit late to the party here, but I'd assumed your use of 'apollo' was based on a miss-hearing of someone (that we both know) calling them 'polo studs' (as in the mint with a hole in the middle) ... as in "you could use a polo stud". Rather embarrassing but he was very nice about it.